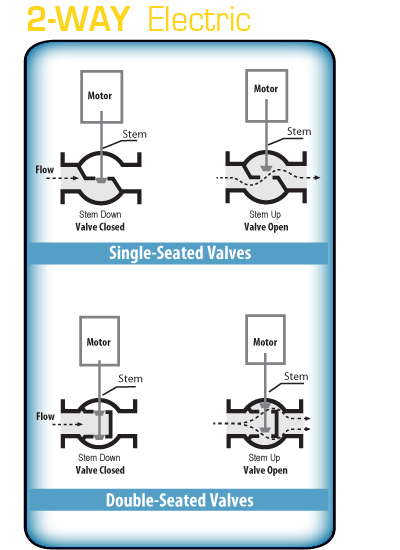 Two-Way valves available in three types; Single Seated Unbalanced, Single Seated Cylinder Balanced and Double Seated Semi-Balanced. 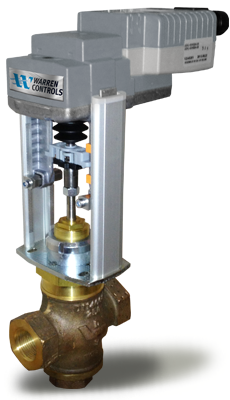 The valves are available with Bronze or Cast Iron bodies and Bronze or Stainless Steel Trim. Flange ratings are either ANSI 125 or 250. Size range is 1/2 inch to 10 inch.